Want to join the Icehawks? 6 December, 2016 Half of the season is over: Icehawks stay strong at the top! The Icehawks were playing well in this game, substituting the absent Victor Liang with our new Norwegian player Markus Hecl Øvili in the first line, who scored 6 goals. The game resulted in 12-0. A third shutout and fifth straight win this season. The Icehawks went to Amsterdam with mixed feelings, although Thor is currently in last place, they were able to win the game against Groningen. Furthermore the Icehawks had to play without some key players like Könönen, Machiels and Hecl Øvili. In the first period the Hawks had the upper hand, scoring 3-0. This changed after the first break, having trouble to pass the Finnish goalie and allowing two goals to be scored. The team managed to pull themselves together in the last period, scoring two goals early in the period and again on the empty net. Making the total score 6-3. A reporter from folia wrote an article about the game (in dutch). The coach mentioned in the article isn’t our regular coach Roger Provencher, since he was not able to join us in Amsterdam. Our next home game will be in 2017, on the 8th of January at the IJssportcentrum Eindhoven vs. The Hague Fire Birds. Further game stats after the read more. Three-peat! Student division champions 2018-2019! Nearing the end of the season. 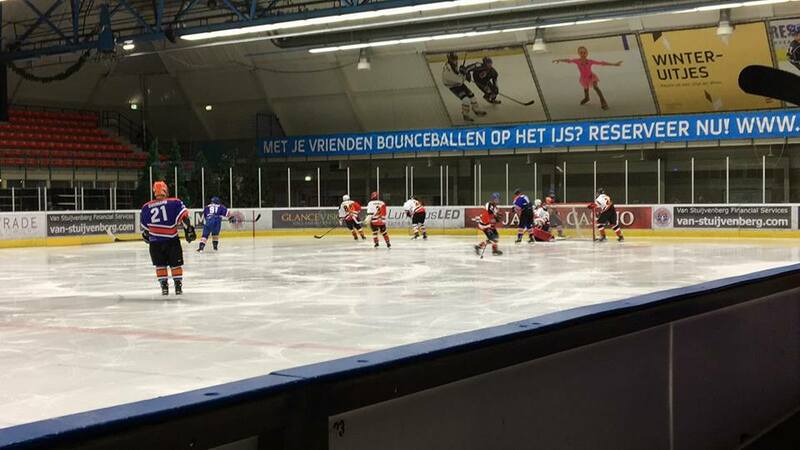 Eindhoven Studenten IJshockey Vereniging "Icehawks"